Faced forward, oversize items are well displayed but consume huge amounts of space. Aligned edge-on, large items cannot be seen. Hinged display systems that permit both positions are expensive. So here is a compromise. 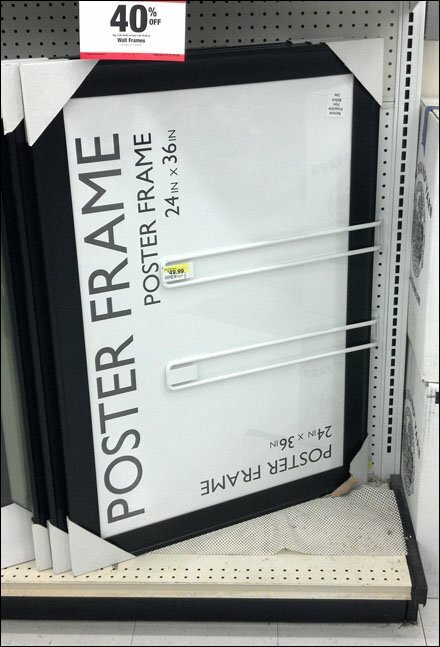 Frames and framed items are divide for organization, yet angled for better visibility. With some staggering of positions, successive facings can “peek out” from behind each other enticing the shopper to remove or inspect closely. CLICK the thumbnail for a detailed look of the slide-in Straight-entry feature of this Pegboard-mounted fixture. 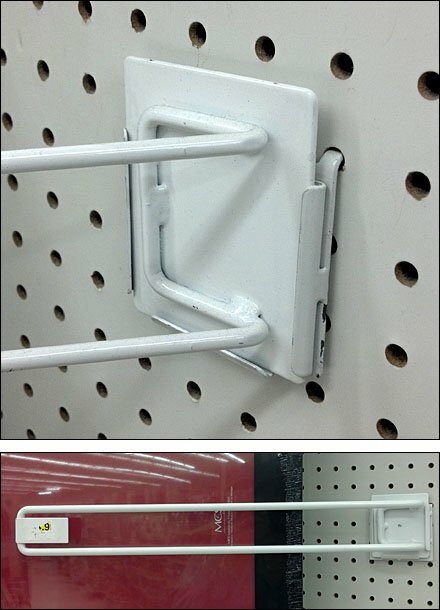 Is it Hook or Divider? You decide. Just take note the hardware includes a built-in Metal Plate Label Holder at the aisle end.